Our current signature dish is Grilled Beef Fillet, Braised Jacobs Ladder, Balsamic Reduction Sauce & Goats Cheese Tortellini. I particularly enjoy this dish as the sauce is so rich and the Jacobs Ladder is a very tasty cut of meat which some diners haven’t yet experienced. How important is it to you to work with local/specialist suppliers – are there any that are key to your cooking? 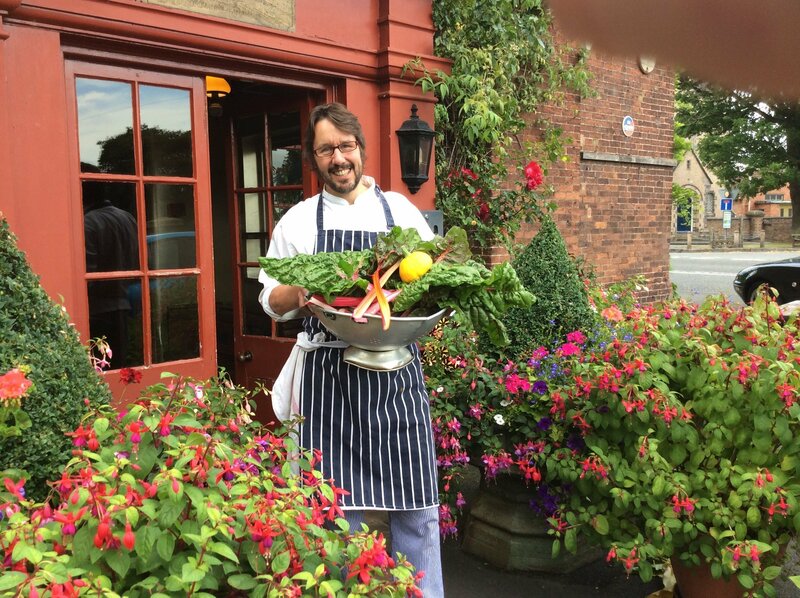 This isn’t a new thing to The Hundred House – this has been our philosophy for the last 30 years and we have an extensive Kitchen Garden here that we use – around 50 different varieties of herbs, edible flowers as well as lots of different varieties of Fruit Trees, Tomatoes and Squashes. 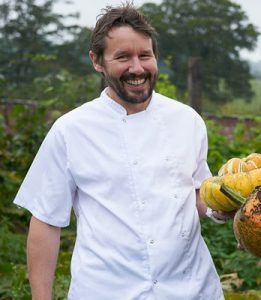 The majority of our Game comes from the Apley Estate, which we sit on and Beef, Pork, Lamb & Eggs all sourced locally and have been for long before the trend for Local produce started. Average day would consist of a 8.30am start, in the office until 11.30. Kitchen 11.30 – 3.30 & 5.30 – 11.30. Mostly get 2 days off these days! When did you start running Cookery Masterclasses? We started back in 2003. Do you get lots of interest in them – and what tips would you give other innkeepers thinking of doing the same? Yes, they generally sell out, I try and do a couple after Christmas as we sell quite a few personalised vouchers for Christmas presents, then we spread it out seasonally so I can change the itinerary based on the best seasonal ingredients. Advice I would give to other Innkeepers would be to advertise on the tables and within areas of the Restaurant where footfall is high, Reception, Toilets etc but mostly to go around tables which allows engagement with our customers. I would say it’s this story, which proves the lengths I went to train as a Chef! After a short (but hard and brutal!) time of work experience in France, organized by the College I attended, I was so determined to work in a French Michelin Starred Restaurant for further training that when they ignored my letters and phone calls I cycled all the way from The Hundred House in Telford, Shropshire to Brittany in France packed with not a lot more than my Chef’s Whites and Knives!! When I finally arrived I was turned away but after some begging they spotted my bicycle and when they heard I’d cycled all that way they were so fascinated by the determination of my plight, he gave me a spot in the kitchen and the rest is history! To have a Traditional Sunday Lunch with my wife & family, cooked in the same style as my Maternal Grandmother’s, who was a Farmer’s Wife and terrific cook! Well – maybe throw in some Oysters to start too! Where you start is fundamental to where you finish up and how quickly you get there. You should also make sure that you want to commit to all the hard work and long, unsociable hours then stick to it! Be passionate about what you do and think of where you want to be and by the time you’re 25 you should have a great career.